*Children sit with their parents until about 10:30, when they're released for Sunday School. Visiting families are welcome to stay together for the entire worship service. The Sunday service audio is broadcast live. See the calendar for additional time & place details! GPS NOTE: If you're using a GPS or other mapping & navigation tool to find our location, and the address isn't showing up, scroll down further to the Navigation Information & Assistance section. Clicking on the below map launches Google Maps with the school location marked for navigation. The Portola Springs area of Irvine is a dynamic and growing area, with many neighborhoods under construction, new residents moving in, and addresses being added on a regular basis. As a result, some GPS and navigation tools don't have the latest address information for the area, including the school address. If you're not driving while reading this, you can try updating the maps for your GPS device. You may want to try entering the address "12400 Portola Springs, Irvine CA", which is the address of the OC fire station next to the school. 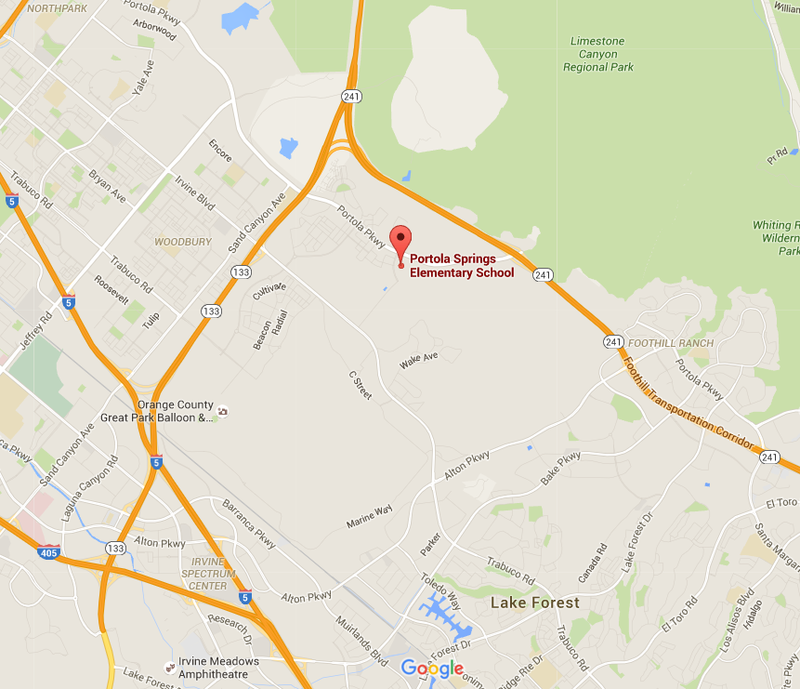 Another method for locating the school is to enter an intersection, since the school is at the corner of Portola Springs & Portola Parkway. You can do that on most GPS devices by selecting "Search" or "Where To", followed by choosing the category of "Intersection", then entering the city name of "Irvine" (without the quotes), followed by entering each of the two street names with their proper suffix abbrevaitions. In this case the entries would be "Portola Spgs" and "Portola Pkwy" (without the quotes).